Aquariums are incredible. They let you see a world above ground that most people would never be able to see otherwise. SeaWorld is one of the largest aquariums organizations in the world. They have facilities in Orlando, Tampa, San Diego, San Antonio, Williamsburg and Philadelphia. SeaWorld reported having more than 22 million visitors in 2014. So how has SeaWorld gone from being a “Must See” to a “You support SeaWorld?” company? Free Willy Poster. Image Courtesy of imdb.com. This original film was release in 1993. The incredible story of a young boy and his unbelievable connection with a killer whale led to the film grossing almost $78 million in theaters and another $36 million from rentals. The boy is a foster child who, after breaking into the local aquarium, is required to spend time doing community service at the aquarium. 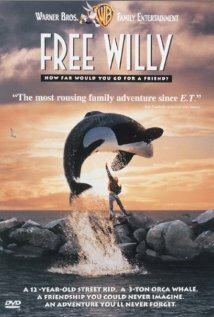 Willy, the killer whale, learns from the boy and is eventually saved from being killed by escaping into the wild. The film ended with a number that viewers could call to donate to the Save the Whales Foundation. This number was able to raise $20 million in donations. SeaWorld saw a large increase in visitors, both adult and children, who wanted to see the large black and white whales in person. Jason James Richter, who played the main character Jesse, has had quiet a bit of fun posting images and reminders of the film, which later had three more sequels. 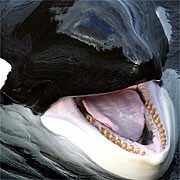 The whale-actor for Willy was an orca named Keiko. 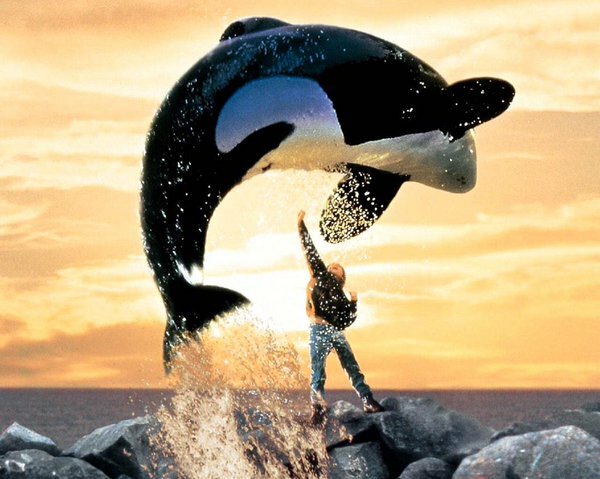 The popularity of “Free Willy” led to questions from audiences about what happened to the real whale in the film. It was discovered that the whale was living in a tank, reported to be only twelve-feet deep, that was too warm and chlorinated, causing him to suffer from skin conditions. Keiko had been taken from the waters near Iceland at the very end of the 70’s, when he was just a calf. A large number of children from around the world sent money, as well as one particular billionaire, Craig McCaw, in order to “Free Keiko.” A large rehabilitiation center was built in Oregon and Keiko was moved to a much larger facility to recover from his medical condition. After fully recovering in 1998, Keiko was airlifted to Iceland. There he was taught, by humans, the necessary skills to survive in the wild. In 2002, Keiko was finally freed. But this did not last long. He went to Norway, in what was thought to be an attempt to find human companionship, as the wild orca pods did not accept or recognize him. For a short time, he would give rides on his back to visitors and allow people to approach him. He was led away from the popular spot, in an attempt to protect him from possible harm. He died in 2003, from what has been reported as a case of pneumonia. A decade after Keiko’s death, some groups still strongly believe in the ability to reintroduce orcas, and other animals at SeaWorld, back into the wild. It has also been called into question whether the Free Keiko did enough to prepare the whale for his return to Iceland.